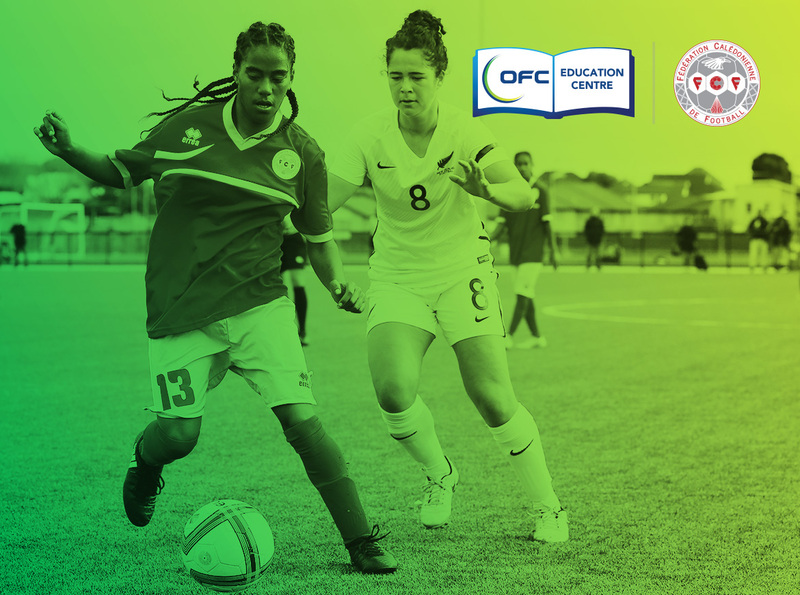 The launch of the OFC Education Centre in New Caledonia is set to take football to new heights throughout the country. The educational institute, which will be based at the Centre International Sport et Expertise (CISE) in Dumbea, will offer courses ranging from foundation to licence level with participants gaining a qualification which will be recognised Oceania-wide. Federation Caledonienne de Football President Steeve Laigle is excited for the opportunities the OFC Education Centre will bring to the country. “The OFC Education Centre will contribute enormously to the development of football here,” Laigle said. “We talk a lot about Caledonian football being an amateur sport and needing to have structure in our football. This will assist us greatly in providing that structure with courses for administrators, for coaches, for referees. Laigle said the OFC Education Centre is not an exclusive institute only hoping to develop football. Being able to get the OFC Education Centre from concept to launch in New Caledonia has been made possible through the partnership with the Comité Territorial Olympique et Sportif. “Through the OFC Executive Committee, each OFC Member Association will have its own Education Centre,” Laigle explained. “To establish the centre, each MA has access to an annual subsidy and in order to benefit from the subsidy you need to have a building capable of welcoming the courses. “Here in New Caledonia it’s no secret that construction is expensive. In addition, to run a centre like this you need a secretary, a caterer, a dining room among other facilities, and this takes time and money,” he continued. “The CISE is a structure which is currently being underexploited. The Government has invested in an excellent building, in fact one of the leading establishments for sport in Oceania, so I felt it was good option to partner with the CTOS rather than build. FCF Technical Director Dominique Wacalie said from a development perspective the OFC Education Centre offers plenty of opportunities to the football community. “For us in the technical department, it’s great to have something concrete like this to help us implement our development projects in terms of coaching and youth football, and for Caledonian football in general. Wacalie reiterates that it is not only football which will benefit. “It’s a tool that will allow us to offer courses not only aimed at coaching but other specialisations too, and it will be open to the public. The OFC Education Centre will be inaugurated in New Caledonia on Monday 11 December at 2.30pm during a ceremony which will include the Mayor of Dumbea, Presidents of FCF and the CTOS and OFC President David Chung and FIFA President Gianni Infantino.